A New Backpack…A New School. I start kindergarten this week. Well, it’s not really me who is going to kindergarten. He is going to a new school. Does he hear the voice in my heart? I wonder if he will be okay. I wonder what he understands. I pray that he will know in his heart that I will come back to pick him up. Although silently, a piece of my heart will be left in his backpack. Yet my feelings are grey and dull…full of worry and concern. 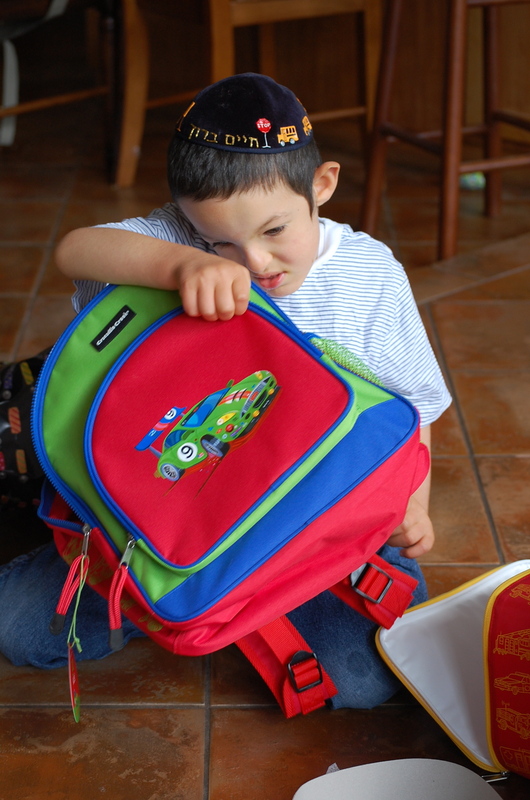 ← Happy Birthday Chaim Boruch!